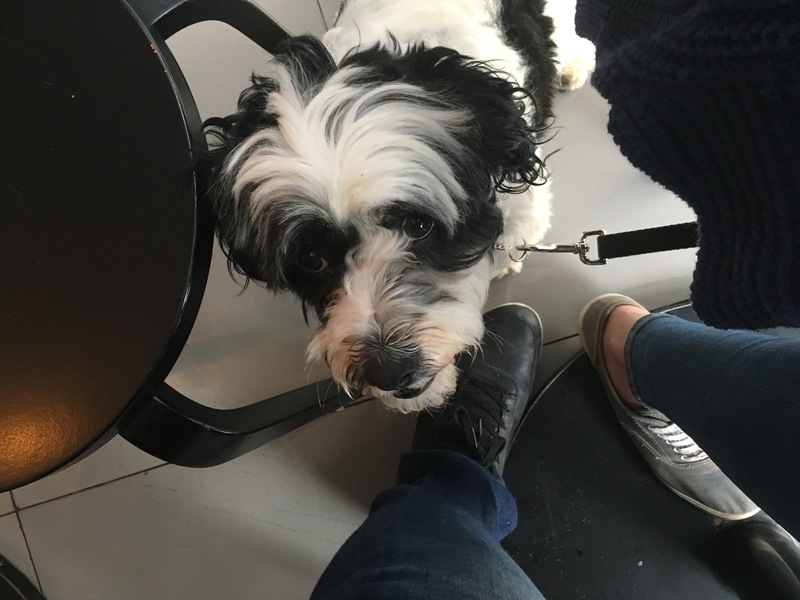 What’s a restaurant where you can’t bring your dog? Just a regular restaurant, I guess. 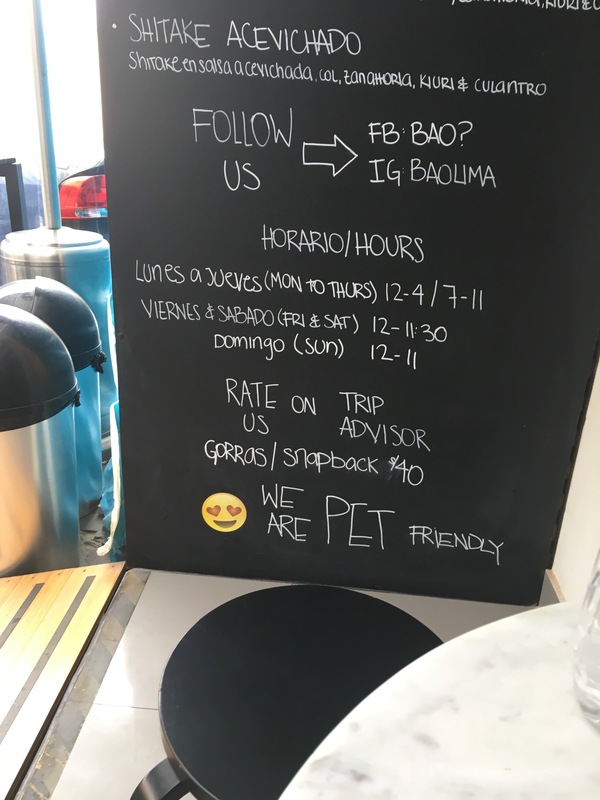 But a restaurant where you CAN bring your dog? That’s definitely better. Bao are, very roughly speaking, the Chinese version of pasties: While pasties have crust, bao have fluffy, airy, white bread that has been steamed, not baked. 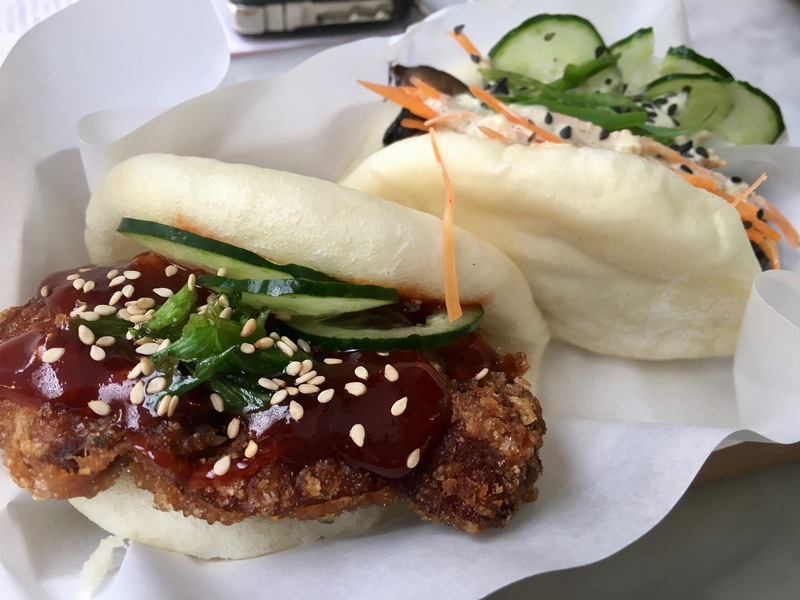 Each heavenly little steamed bun offers one of the best manifestations of carbohydrates around, and each one is stuffed or filled with whatever delicious thing you want. 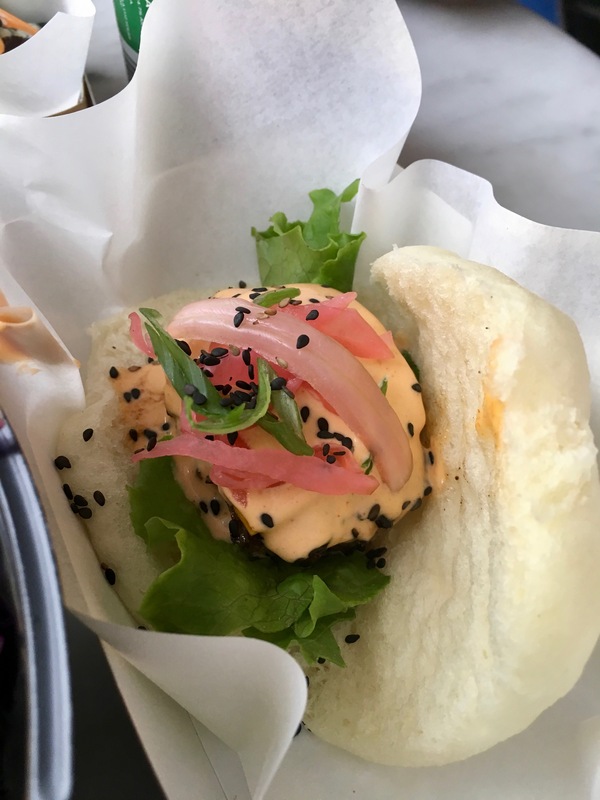 The restaurant “Bao?” is thus appropriately named for two reasons: First, they serve creative takes on traditional bao. 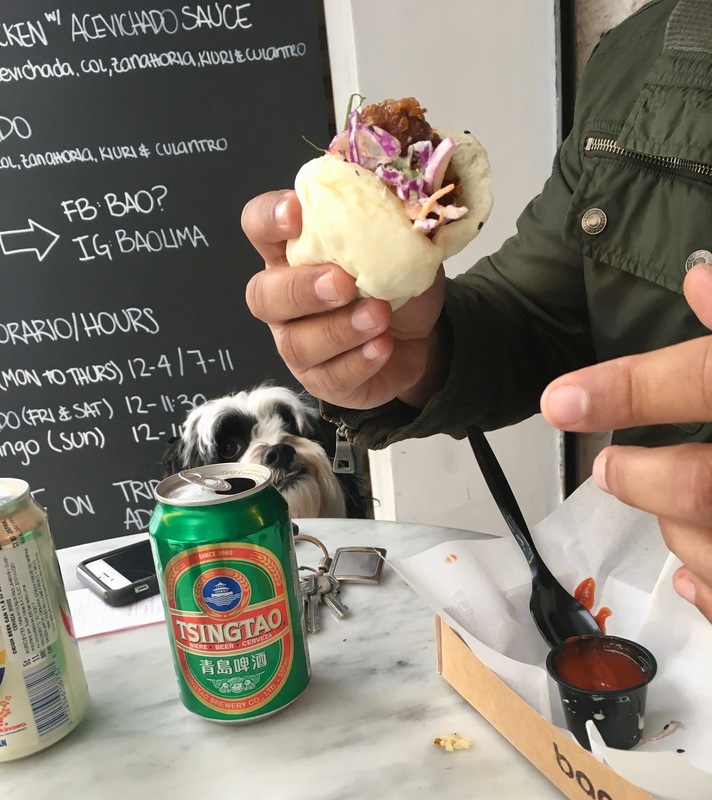 Second, it is my greatest hope that “bao” is also a clever pun given that they allow dogs: “bao” wow? Come on, that’s adorable. Bao? is located in Miraflores on José Domingo Choquehuanca. It’s not exactly impressive at a glance, given the backdrop of a building under construction, but everything that the restaurant itself has control over, they’ve done a great job with. 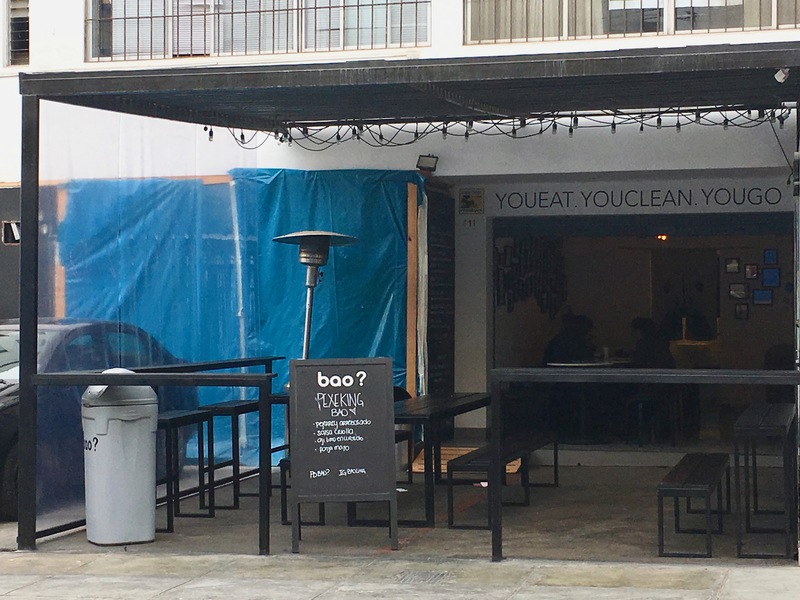 It’s technically a hole-in-the-wall, but Bao? 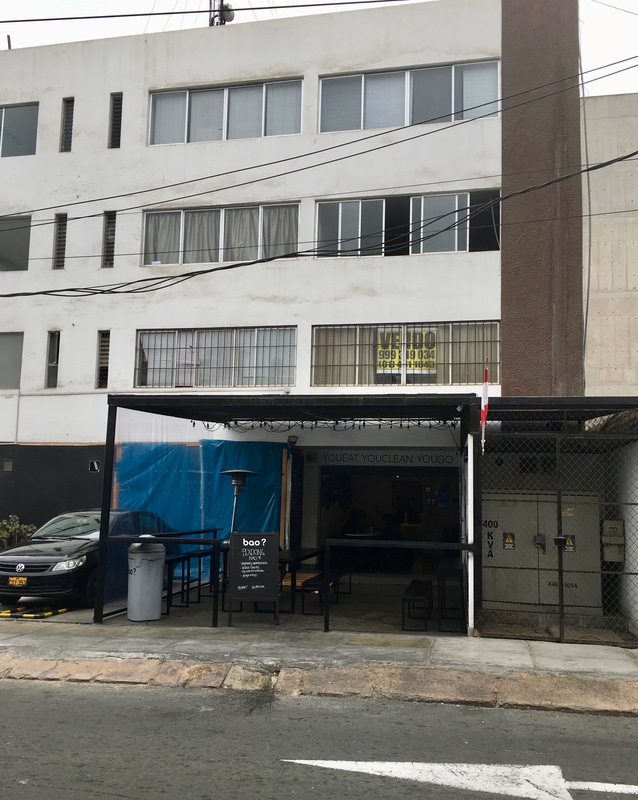 has all the slick style of a café that seems to belong more in Barranco (read: Please open a Bao? in Barranco near my apartment). 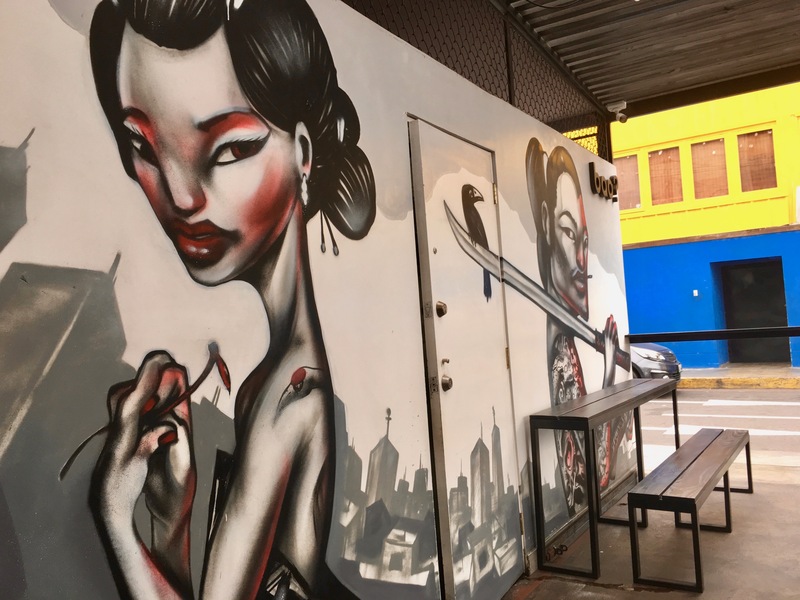 The wall along the outdoor seating has a beautiful mural by Pésimo, a Lima-based artist. And the music was fascinating, but I have no idea what it was. Something techno-related, but with a strong narrative element? My one criticism is that there was a glitch with the sound system: I’m down for unique background music (though I’m an old lady at heart, so just a few decibels lower would’ve been nicer), but the sound system hiccup unfortunately had the music blasting, cutting out, then blasting back to life every two minutes or so. Assuming that’s just a temporary issue though, the food is definitely worth it. 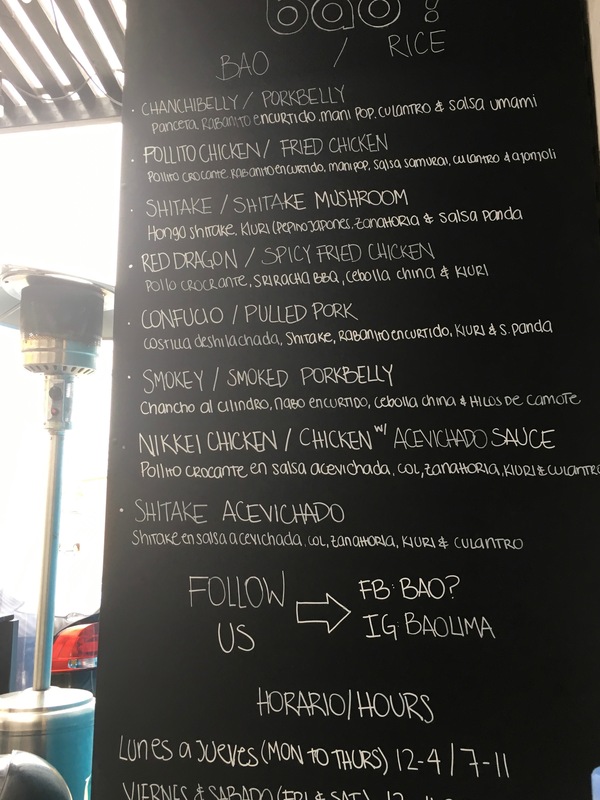 There was some moaning online about price: It was 9 soles per bao bun, basically, which I felt was fair. Look, it’s not a Whopper, ok? 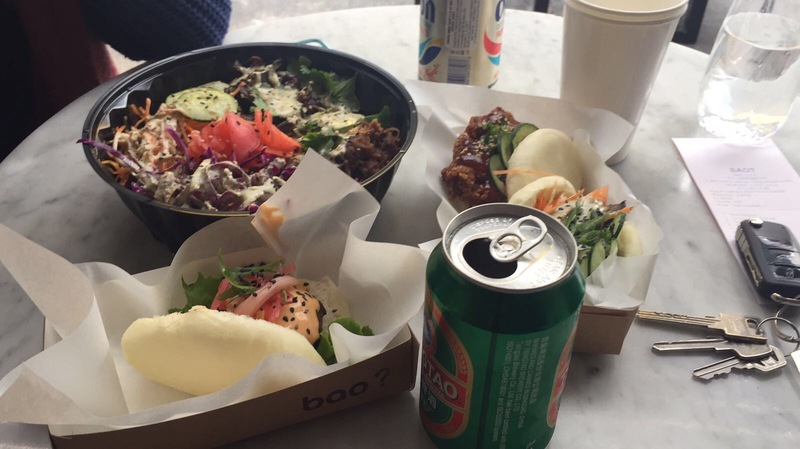 Part of enjoying the bao is appreciating all the different flavors they’ve managed to integrate into a single bun. And the baos are each pretty filling: My husband is a big dude, and I’m no lightweight, yet it only took three baos and a rice bowl for us to reach the “way too full” point. And that was with Pulga helping with some of the cucumbers. 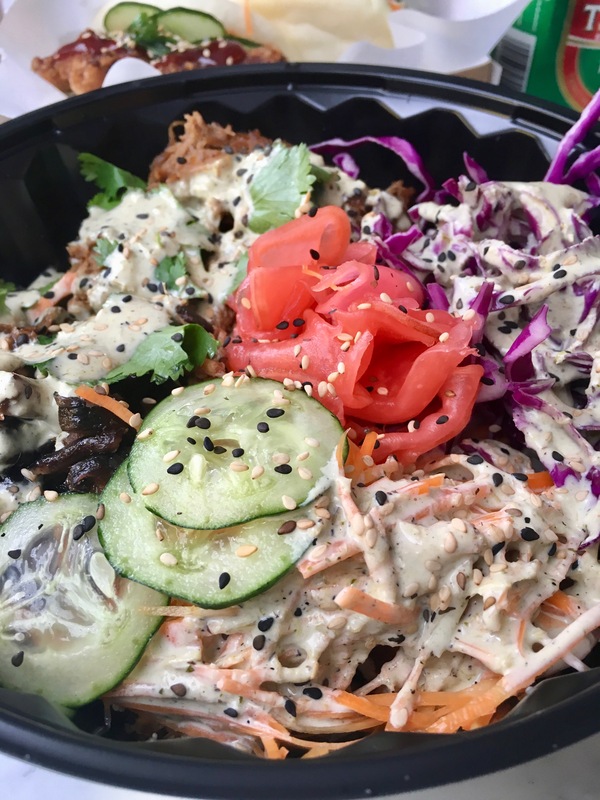 Plus the variety of bao buns (try anything with pork in it in particular), Bao? 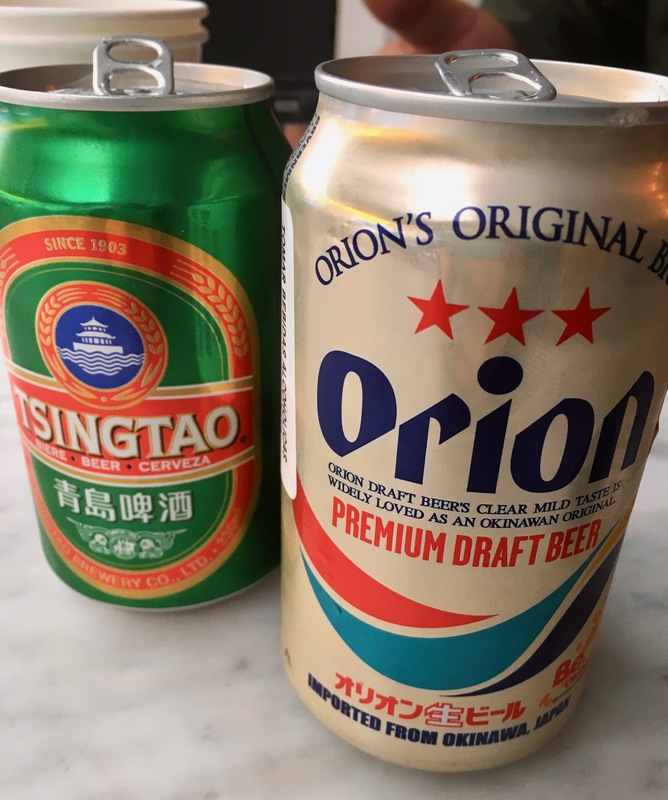 also had a few foreign beer brands to try. 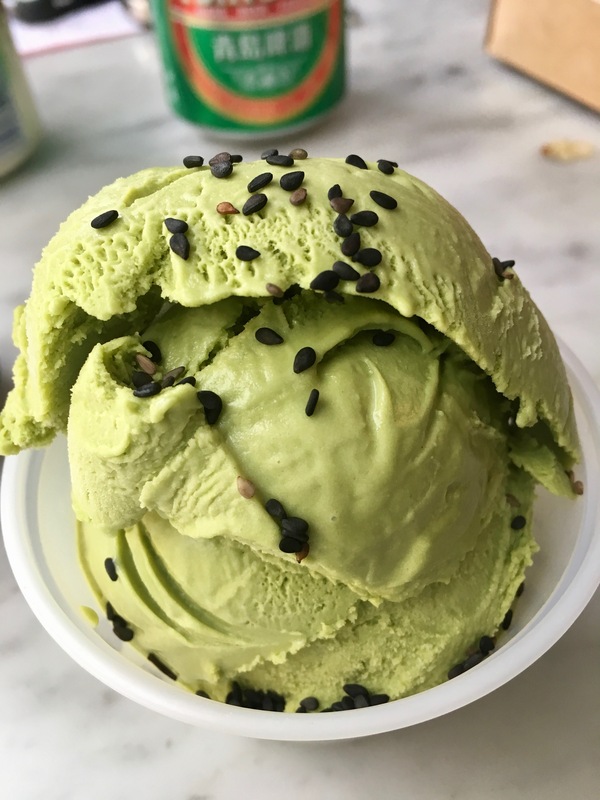 We hung out for a solid hour and a half, until Ivo was finally hungry enough to handle one last bao and I could handle a scoop of green tea ice cream. I made the mistake of looking away for 5 minutes at the end though… coincidentally, Pulga left Bao? with a green mustache.